Economic growth for the next few years are not good. The tools to game the growth are gone. The Republicans, Democrats and Independents are in a pickle for the next elections. The typical methods of “Juicing” the economy will not be available. Taxes can’t be lowered to seduce anyone paying taxes. Increasing spending is out of the question to seduce those with their hands out. The national deficit and debt are astronomical. Unemployment is high. 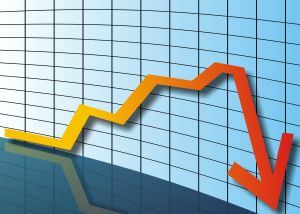 The economy is sluggish with large and small businesses gun-shy with a potential double dip recession looming. Real estate foreclosures are not letting up and could increase. Commodity prices are not coming down. Uncertainty perpetuates a lack of investment. Until our government spending is under control and the national debt stops growing, the dollar will continue to suffer internationally which helps keep the price of oil and other goods higher. Domestic energy production has been and is being hampered. Inflation is real and the cost of borrowing may be going up. According to CNS News China has now divested itself of 97 percent of its short-term US Treasury Bonds. The next step for China is to cease buying any long-term Treasury Bonds and stop buying any new long term bonds. Who wants to be left holding the bag if the US defaults? Think it can’t happen? Some of the situations were cleared up or restructured quickly and others were not. Is the US too big to fail? What caused this potential failure? The big ideas in the US Constitution of limited and separated powers have been altered or ignored. The beginning of the end was when the Supreme Court allowed Congress to spend on anything is wants for “the general welfare” of the country instead of following Article I, Section 8 of the Constitution. The tipping point is soon approaching where the US will not have the luxury of honoring all the obligations it has made to taxpayers and bond holders. The interest rates of the bonds will be going up drastically when the buyers dry up which will further cut into Congressional ability to balance a budget. If Congressional spending were under control, the lack of bond buyers would not be an issue. They could simply retire the debt. Congress and the Executive seem still to have little or no will to do the hard thing. Both branches fear being voted out of office for making hard choices that will be bitter medicine for the voters to swallow. Honesty in politics hasn’t been the policy for some time. Is honesty really the best policy to get re-elected? The general population has been seduced with unrealistic promises for so long that they are not prepared for what is about to hit them. What are the solutions? Cut spending. Phase out all welfare programs and any activity not listed in Article 1 Section 8 of the Constitution. Keep taxes basically where they are until the debt is substantially reduced. Make it favorable for corporations to stay and move to the US. Foster pro-business policy and regulation in general. Easy to say. Tough to do.